Several journalists caught up with Tom Peterson after stage 5 finished to talk to him about the break-away he rode in for most of the day with Andy Schleck, Ivan Basso, and Laurens Ten Dam. 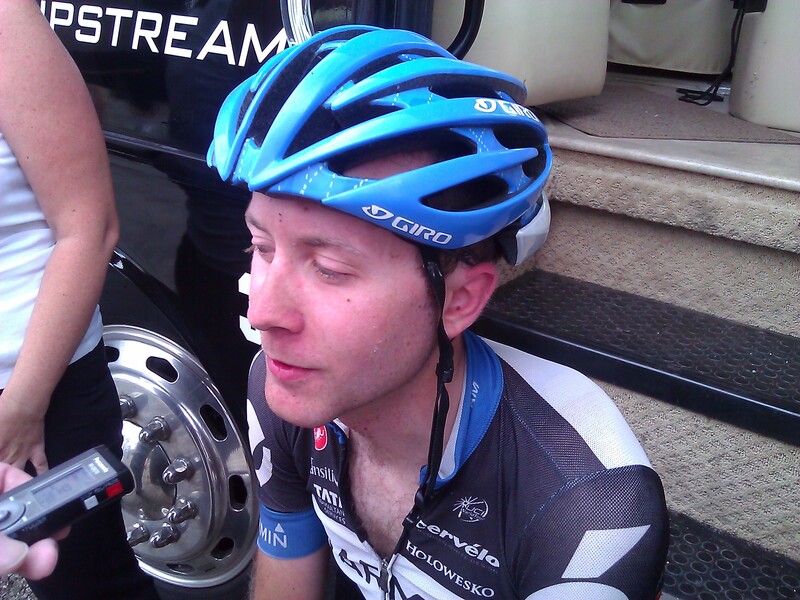 Here’s what he had to say as he took a breather on the steps of the Garmin-Cervélo bus. You did a lot of work on the front during the race; how much did that take out of you in the last 5K? Are the Colombians doing less than you guys hoped they would in this race overall?